If you are a person with sensitive skin and love to pamper it with natural products. Parties are thrilling but at the same time exhausting too. It becomes most tedious to remove your makeup once you are back home. No doubt, you can remove it by using a makeup remover. But most of us are unaware that they contain the harmful chemicals. They are harsh on skin even if they belong to one of the best brands in the cosmetic world. 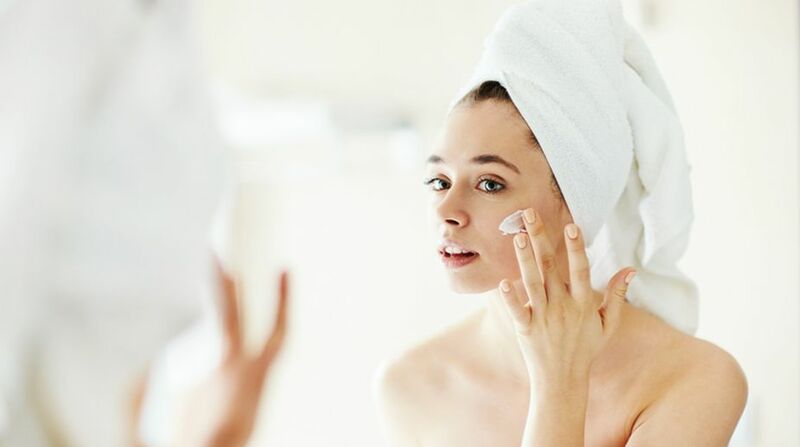 If you are a person with sensitive skin and love to pamper it with natural products, then few tips are given to remove the makeup in an easy, non-messy and safest way. Let your skin breathe with a smile after applying these tricks. Steam is the best way to get rid of makeup. Dip a hand towel in a super-hot water. Let it cool for a few seconds. Place it on your face. 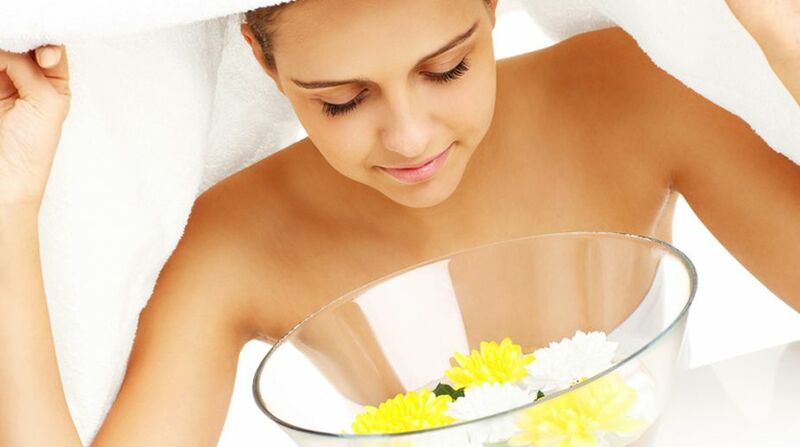 The hot steam will open the pores and remove all your makeup thoroughly. Baby oil can also be used to get rid of even hard makeup like mascaras. Apply this oil with a dry cotton ball on your face and wipe off with a cloth. Your makeup will get vanished. Put some Vaseline on a cotton ball. Rub it gently to remove makeup. Especially the eye makeup can be cleared very effectively by using it. But you have to be little cautious while applying this technique. Take Vaseline in very less quantity because of its high stickiness and don’t forget to wash your face with soap and water after applying Vaseline. Baby lotion or your own moisturiser is also very effective to remove even very hard makeup in a gentle way leaving your skin nourished. Dip a cotton ball in milk and lightly squeeze it. Clean your face gently with it. All the makeup including eyeliners will become invisible. Take a cotton ball. Wet it with water. Put some drops of honey on it. Add in little baking soda. Wipe off your makeup. It will easily disappear. If you are very tired and want to remove makeup in a quick and easy way, use baby wipes to clean it. They are gentle and remove the makeup without irritating your skin. Olive oil having a strong hydrating power is a perfect way to remove makeup in a natural way. Give your face a light rubbing with a cloth or cotton ball containing olive oil. Its softening agents will leave your skin moisturised. These are the practical tips you can try. Keeping makeups on while sleeping is the worst thing you can do to your skin. 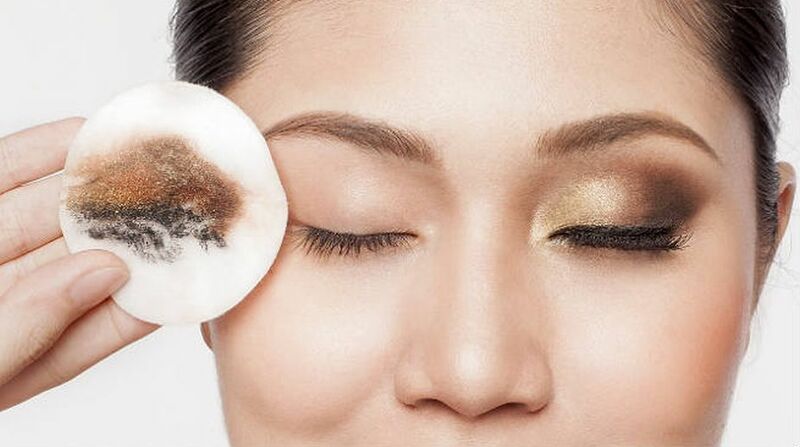 Don’t feel lazy to remove your makeup before going to bed. Let your skin rest and renew while you sleep.